Life is complicated enough without getting into hotwater with federal agencies so: TAKE NOTE Many things I review I got at no charge in exchange for an honest review. Consider this as informing you that ALL things I review may have been gotten at no charge. Realistically about 60% but in order to keep things above board just assume that I got the stuff free. I do not collect information on my readers. If cookies or other tracking stuff is used on my blogs it is due to BLOGGER not ME. Apparently the European Union's new rules state I need to inform you if cookies are being use. If they are it isn't byu me, consider yourself INFORMED. Words like, “sponsored,” “promotion,” “paid ad” or even just “ad” are clear ways to disclose that you’re being paid to share information and links so BE AWARE that some of what I write can be described as an AD by the government. BTW I will NEVER say a product is great, super or even acceptable if it isn't, whether I got it free or NOT! Many times I receive books for FREE to give them an honest review. I do not get paid to give a good or bad review. Spotlights are promotional and should be regarded as advertising for the book spotlighted. Regardless of where or how I got a book, my review will be as honest as I can make it. 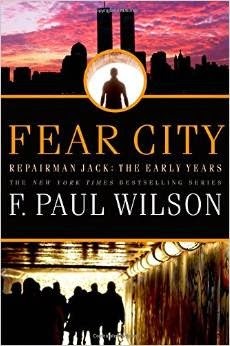 When I read Dark City a few weeks ago I stated that I may be one of the few action adventure readers who has just discovered Repairman Jack. This is a series that documents one man's quest to right wrongs in a unique vigilante/godfather manner. This is the final book in the trilogy that documents the early years of Repairman Jack. This book wraps up the early years and documents the origin of the Repairman Jack moniker. Jack becomes more jaded in this volume. He discovers that he learned a very painful lesson from the Mikulskis in the very first book. A mistake that he vows will never happen again. This three book series provides you with the reason why Jack becomes a loner and documents the events that lead to his Quixotic behavior. Jack is somewhat naive in this trilogy but you can see where he is going. There is plenty of action and if you have an Old Testament attitude toward retribution you are going to devour this series. I recommend the book and I plan on reading more of the series. It appears that this series is the last of the Repairman Jack stories for awhile. The author states that in the forward of Fear City which I am currently reading. There are at least 18 books besides these in the series and I plan on reading them all. This may or may not come up, I got some errors trying to access it. This book may have been received free of charge from a publisher or a publicist. That will NEVER have a bearing on my recommendations. 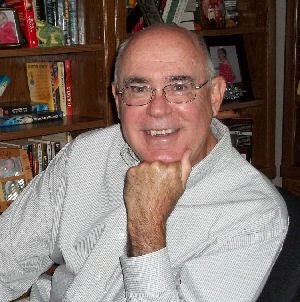 Click here to go to my website to find out how to get YOUR OWN book published. Who am I? Click On Me to find out. Click HERE to go to reviews also go to GoodReads for reviews. Some books reviewed on this site were received for free from authors and publishers, no compensation whatsoever has been accepted for ANY book review. See bottom of this column for full disclosure statement. I used this firm when I had my computer business. They did a great job for my clients. Go to my links and click on Drive Savers for more info. Bob Lock's SciFi Writing--Worth Reading! This blog is a personal blog written and edited by me. For questions about this blog, please contact wbentrim@bentrim.info. This blog accepts forms of cash advertising, sponsorship, paid insertions or other forms of compensation. The compensation received may influence the advertising content, topics or posts made in this blog. That content, advertising space or post may not always be identified as paid or sponsored content. The owner of this blog may be compensated to provide opinion on products, services, websites and various other topics. Even though the owner of this blog receives compensation for my posts or advertisements, I always give my honest opinions, findings, beliefs, or experiences on those topics or products. The views and opinions expressed on this blog are purely the bloggers' own. Any product claim, statistic, quote or other representation about a product or service should be verified with the manufacturer, provider or party in question. This blog does contain content which might present a conflict of interest. This content may not always be identified. Anyone who posts on this blog must be 18 years of age and anything posted should be original and non-defamatory. The author of this blog is not responsible for the accuracy of any information on the blog.